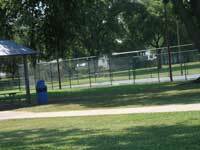 Bangert Park contains 13 acres. 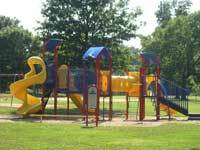 It is the oldest park in Florissant Located in the park is the newly renovated competition style outdoor swimming pool. The park contains 2 pavilions that have electricity that are available for rent. 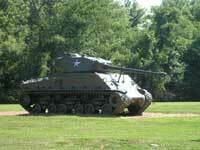 Pavilion number one has a Sherman Tank and a lighted roller hockey area close by. Also there is a sand volleyball court and 12 horseshoe courts for your enjoyment. The multipurpose court has been turned into a great place to play soccer including small goals. Each pavilion has a playground next to it. The horseshoe court is newly renovated. Pavilion number two also has electricity and a wonderful playground. This is a perfect spot for those warm summer day since the area is covered with trees to keep you cool. 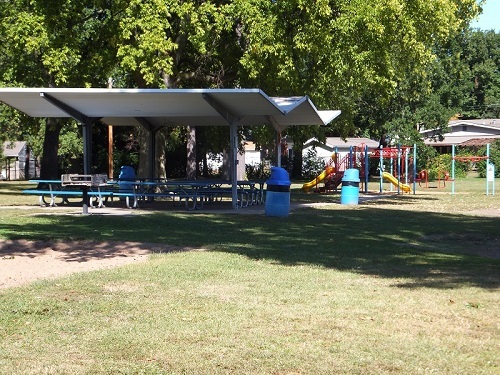 This pavilion is located behind the library.